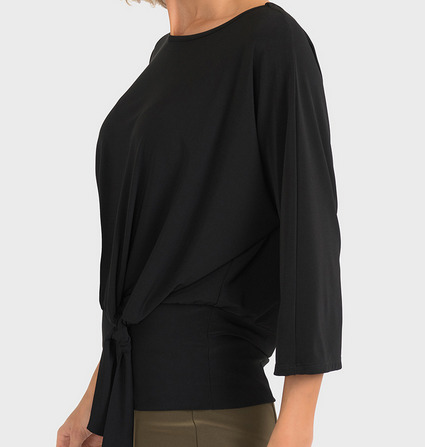 A loose fit top with a banded bottom and side tie detail. This piece has an elbow length sleeve that it loose. Add a patterned pant or a color to complete the look.